Shower to shower each day… help keep odors away! Do you remember that song? You may be keeping odors at bay, but have you ever thought about the chemicals, and more specifically the chlorine, that you may be dousing yourself with each morning? We agree nothing beats the exhilarating feeling of a warm and tantalizing shower to perk your energy and prepare you to face the daily to-do list that waits. As beads of water trickle down your skin and soak your hair, you feel renewed in sort of a cleansing ritual of releasing the old and replacing with the new. It is no wonder why so many shampoo and soap commercials highlight this experience in their advertising. While much emphasis has been placed on the healthy ingredients of the personal care products incorporated into our daily bathing experience, very little focus has been placed on the purity of the water itself. Many of us have now caught onto the idea that we should be drinking filtered water to avoid ingesting chemicals and biological contaminants that hamper our body’s natural processes of cleansing. However, many people are still in the dark when it comes to why it is important to filter our bathing water. While one of the most important functions of water is to flush out toxins, this process can be tampered with when the water we trust to bath and cleanse our skin with is laden in a plethora of chemicals – one such example being chlorine. Unless you live in one of the few fortunate cities, chlorine is a chemical disinfect that is universally used to treat municipal water supplies. Its purpose is simple – to kill germs and bacteria that can harm us. Unfortunately, the chlorine and its chemical byproducts including trihalomethanes are linked to serious illnesses including cancer. In fact, according to research from more than 12 epidemiological studies, it may cause more than 10,000 cases of bladder and rectal cancer each year. 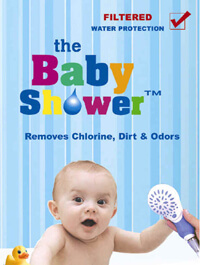 Fifty percent of our daily chlorine exposure comes from showering or bathing. As many fret to consume plastic bottled water in a sometimes false sense of assuring health, they are neglecting to realize the reality that they may be absorbing more chlorine from exposure in a 10 minute shower than from drinking water from the same source all day! To compound this problem while showering, chlorine is not only absorbed through the skin, but also re-vaporized in air and inhaled into the lungs. This can be an asthmatic trigger to boot. This process of inhalation easily transfers the chemical directly into the blood system. This is why it is so important to filter not only drinking water, but the often overlooked bathing water, to avoid unnecessary chlorine exposure. When taking a hot shower chlorine absorption not only happens through the pours of the body’s skin, but the chlorine vaporizes into a gas that is inhaled as well. Most tap water contains equal to higher amounts of chlorine that are recommended for use in swimming pools. 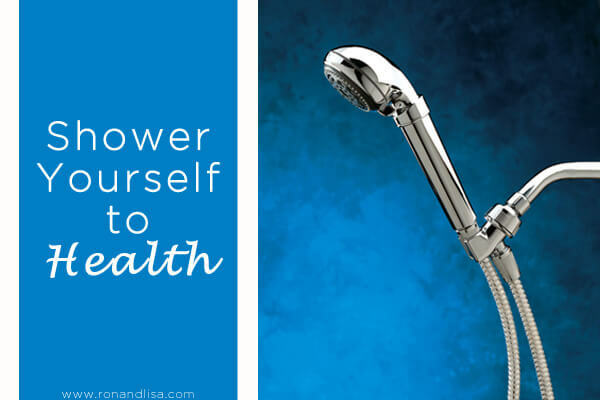 In just one 10-minute shower you can absorb more chlorine than from drinking water from the same source all day. There is a suspected link to chlorine being a cause of breast cancer. It has been found that women suffering from breast cancer have up to 50-60 percent more chlorine in the tissue of their breast than that of healthy women. Ultimately there is higher chlorine exposure while showering than through drinking tap water because the chlorine enters the body through dermal absorption and inhalation. The chlorine in the bathing water can affect the pH balance of hair, and have drying effects on the skin. The body is more susceptible to dermal absorption of chlorine while showering because the skin pores are also widened. Inhaled chemicals make it into the body’s bloodstream quicker than ingested chemicals do. 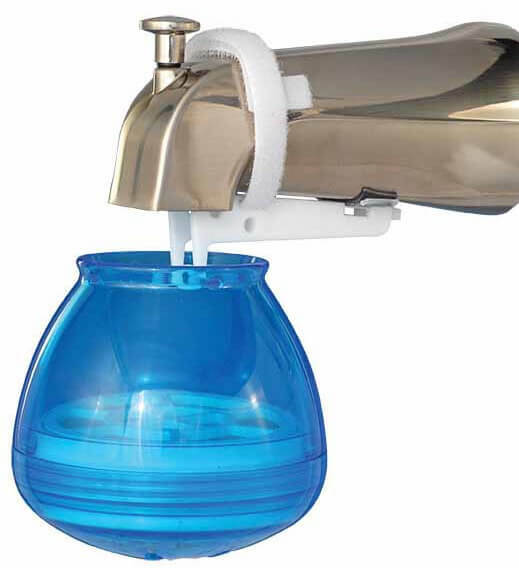 Sprite® shower filters are excellent options to reduce contaminant in your showering water. The filters come in many styles and shapes to choose from and all use Redox filtration filter that combines both Chlorgon and KDF filtration medias. The science behind shower filtration by Sprite® took into account the unique situation in the shower, including temperature, flow rate and volume. That is the reason their shower filters do not utilize a carbon media as the preferred method of filtration, contrary to competitor shower filters you may see on the market. The reasons are important, albeit, not easy to explain in one sentence. Hence, a detailed explanation to assure you understand what you are buying and why. The temperature of tap water ranges from 60-75 degrees Fahrenheit. However, while showering, those temperatures typically range from 85-105 degrees Fahrenheit. Therein lies the problem with carbon filters; they are considered a cold water filter and are most effective at temperature ranges of 50-80 degrees for filtration. When the temperatures are higher, carbon becomes ineffective and can even release contaminants back into the water. Flow rate is the second factor that was considered when opting for Redox filtration over a carbon based shower filtration medium. Most carbon based drinking water filters are designed to handle a half gallon of water flow per minute, however, this is ineffective for the flow rate of a shower. Showers have a minimum flow rate of five times greater than the half a gallon per minute rate. Therefore, regardless if you only take cold showers, the higher flow rate of showers still make carbon based filters less effective in shower filtration. Volume is the third factor in the reasoning behind choosing Redox filtration over carbon filtration for bathing water. A carbon based drinking water filter product is designed to filter 1-3 gallons of water a day, whereas a shower requires anywhere up to 12.5–50 gallons per day. A great amount research was done in developing a line of realistic catalytic shower filters from Sprite® to filter both free and combined chlorines, dirt, sediment, odors, hydrogen sulfide, iron oxides, and more, from your shower water. 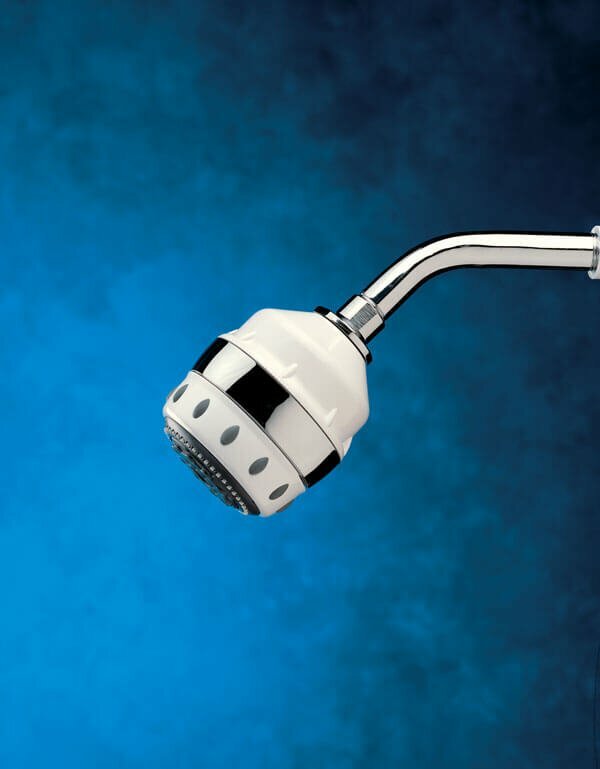 For additional shower filters visit HERE for additional options including color selections (white, chrome, gold, bronze and brushed nickel) as well as styles such as hand held, massage shower head options, Slim Lines and High Output version. Don’t worry bathers! We haven’t forgotten you. There are several filtration options available for you as well to remove chlorine from your bathing water ranging from Bath Ball Filters to Dechlorinating Bath Salts! Ohhhhh, Baby! We didn’t forget you either. There are great options like the Baby Shower Filter that make bathing easier for mom and healthier for little ones’ sensitive skin. If you have begun your holiday gift giving, what better way than to give the gift of health? Your loved ones will appreciate the thoughtfulness. Or, be good to yourself while you’re at it — why not treat yourself to something that you will benefit from — 365 days a year! I have been reading about shower filter lately. Maybe I should be good to us and treat ourselves to something that will benefit our health. I’ll try to install one for our home. Thank you for this wonderful post!